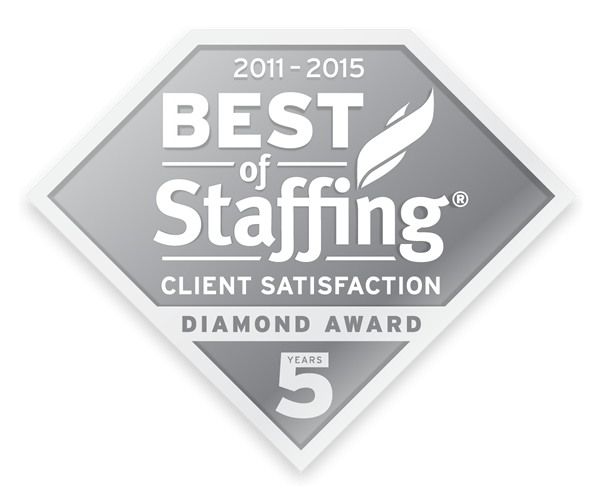 Professional Staffing Group has earned Inavero’s 2016 Best of Staffing® Client Diamond Award after winning the Best of Staffing Client Award seven years in a row for providing superior service to its clients. Presented in partnership with CareerBuilder, Inavero’s Best of Staffing Client Diamond winners have proven to be industry leaders in service quality based completely on the ratings given to them by their clients. On average, clients of winning agencies are nearly three times more likely to be completely satisfied with the services provided compared to those working with non-winning agencies. Focused on helping Boston-area companies find the right people for their job openings, PSG received satisfaction scores of 9 or 10 out of 10 from 79 percent of its clients, significantly higher than the industry’s average of 27 percent. With fewer than 2 percent of all staffing agencies in U.S. and Canada earning the Best of Staffing Award, just 22 percent of the 2016 Best of Staffing winners earned the Diamond Award distinction. The winners of this award truly stand out for exceeding client expectations. Professional Staffing Group has been named one of Inavero’s 2015 Best of Staffing Award winners and has again earned the 2015 Best of Staffing Diamond Award for achieving five or more consecutive years of industry-leading satisfaction scores from the clients we serve. Presented in partnership with CareerBuilder, the sixth annual Best of Staffing Award winners have proven to be industry leaders in service quality, based completely on the ratings given to them by their clients. Best of Staffing winners achieved average client satisfaction score more than three times higher than the industry average. Less than two percent of all staffing agencies in North America received the Best of Staffing Award for service excellence in 2015. PSG was also among an elite number of firms to win this award for the past six years in a row, earning them the Best of Staffing Diamond Award. PSG is proud to be recognized for exceptional client service with its fourth consecutive Best of Staffing™ award from Inavero and CareerBuilder. Best of Staffing is the nation’s only award that recognizes staffing agencies that receive remarkable reviews from their clients and job seekers. Fewer than 1% of all staffing agencies in North America earned the 2013 Best of Staffing award for providing remarkable service quality to their clients. With average satisfaction ratings quadruple the industry average, the Best of Staffing Client winners truly stand out for exceeding client expectations. 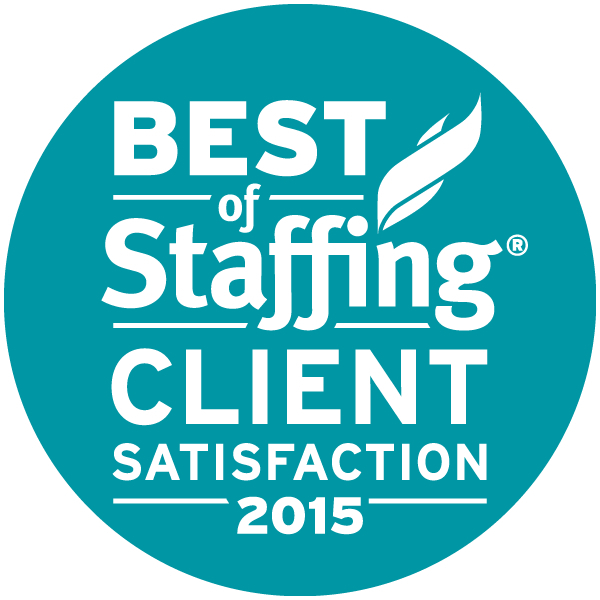 The average Best of Staffing Client winners received a score of 9 or 10 out of 10 from 74% of their clients. Learn more about the Best of Staffing here. PSG is pleased to be recognized for the third year in a row on both the 2012 Best of Staffing Talent and 2012 Best of Staffing Client lists by Inavero and CareerBuilder. Inavero’s Best of Staffing™ Awards, presented by CareerBuilder, showcase staffing firms that provide exceptional levels of service. The Best of Staffing™ lists are the nation’s only awards that recognize staffing firms that receive remarkable reviews from their clients and their temporary employees. In separate independent surveys of both its candidates and clients, Professional Staffing Group received satisfaction ratings that placed it in the top one percent of all firms in the country. PSG is the only Massachusetts staffing firm to make the lists three years in a row, for having both the best Talent and the best Client satisfaction ratings. Inavero’s complete Best of Staffing list can be viewed at www.bestofstaffing.com.